Can You "Bear" a Birthday This Special? How Much Do You Know About Those You Love? Loosen Up, It's Just a Party! Stop Recycling Gifts By Giving Better Gifts! How to have, like, an awesome girl's b-day party! *Be open - crossed arms and a scowl will not endear you to anyone. Smile, walk tall and make eye contact with other guests. *Listen - if you don't listen to the conversation occurring before you, you won't be able to contribute. *Look interested - if you pay attention to what they are saying you will be more able to read their body language. Don't roll your eyes, look at your watch or let your eyes wander mid-conversation. This is a giveaway of distraction and very rude. *Speak up - if the music is loud, you will have to increase your own voice volume. Equally, if you cant hear the other person ask them to repeat. Nothing is worse than nodding with a smile to a comment and then finding out that it was actually a very sad statement. Getting them to speak up will avoid this faux pas. *Don't be a wallflower - you may be shy or you may be tired, but resist the temptation to sit in the corner on your own. You will get so much more out of the event if you chat to a few people and it's easier than you would imagine. *Don't rush - although it is very honourable to want to speak to everyone at the party, rushing all your conversations will not be rewarding for either you or the other attendees. *Don't interrogate - this isn't Newsnight, it's a party, so aggressive questioning will have your conversations ending quicker than you thought possible. *Don't drink too excess - drinking can be socially dangerous. Secrets can be confessed, insults can be dished out and arguments can be started. Bear this in mind when you go to the bar for your fifth drink of the night. *So there you have it. Making conversation at a party should not be an ordeal. It should be fun. Keep smiling and keep friendly and you will find that any self-conscious falls away as soon as that conversation gets going. 1. The guest comes firstWhen you are in the thrust of party-planning mode, one thought should always come first - the guests. Think about how they are and how that is going to effect the party you are intending to hold. If its only close friends invited, then think about arranging an informal affair. Any event with distant acquaintances or with more of a networking focus should be more formal. Also keep in mind that some of your guests will have special dietary requirements. Plan to serve a range of beverages and food dishes so that everyone is happy. 2. Preparation, preparation, preparationThis might seem a bit like stating the obvious but planning ahead is a wise nugget to keep in mind. If you want to use a special ingredient, make sure you buy ahead of time to guarantee its availability when you need to use it. Getting to the supermarket on the day and finding out that the cut of fish you planned your whole dinner party around is sold out will not get the night off to a good start. The idea is that blips are avoided so that also means getting the majority of your meals or party foods made ahead of schedule. Not only will this allay any host nerves but it will also maximise the amount of time that you actually spend with your guests. When they arrive the food will be ready to serve and you will be ready to party. 3. Think simpleBy all means, if you are an exceptional cook you can plan a food menu that puts Gordon Ramsay to shame. If your culinary skills fall someway short of such ability then keep it simple. Choose dishes that you have served before and that were particularly well received. Plan courses that complement each other. Don't serve too much of any one ingredient. You don't want to overwhelm your guests with too much meat for example, or a three course carb-laden affair. Balance and simplicity will go a long way. 4. Extravagance has its limitsElton John is lauded for his fabulously extravagant parties. You need not aspire to rich such dizzy heights of excess. It's far better for your pocket and for your guest's comfort to keep things appropriate. If it is an informal gathering with close friends you don't need to spend way over budget to impress them. 5. Keep it appetizingSatisfying your guest's appetites is more than just flavour. Both the food and the venue should make good use of colour to stimulate your guests. If you decorate correctly the ambience you intend to create will be easy. Think carefully here. A candlelit room can create a gentle, intimate atmosphere, perfect for your nearest and dearest. Inviting your boss over and wining and dining him to candlelight might not be so appropriate. In all cases, make use of garnishes, interesting glasses and plates and tasteful centrepieces for the tables. These are the things that people notice. 6. It's all about the musicIt goes without saying that a themed party, like a sixties night, should be married with the appropriate music. The evening's soundtrack should go some way to define the mood of the evening. Classical music says grown up and sophisticated, Ibiza chill out tunes says laid back and re-runs of the Macarena say something else entirely. Give this some thought and keep the volume at a level that still allows for conversation. 7. Battle the wine minefieldIt's worth researching wine. Consider what wine you should serve. If your nose is not that of an expert ask in your local wine merchants. They are normally happy to recommend a grape that will suit your food and your budget. Think about picking a range of red and whites as people do have preferences. Don't forget the water - pick up a choice of still and sparkling. 8. Dress to impressIf you want the evening to be black tie, say so. Make it clear on your invitation. If you don't then your guests will simply assume the smart/casual uniform. If you want to make a specific dress code request, keep it clear. No guest wants to spend hours deciphering your mystic and original dress request. If it's casual, keep it casual, if its themed make the theme explicit. 9. Make sure your guests are comingThe RSVP's may not have come flooding in but that doesn't mean that people will not turn up. Guests are sometimes lazy about RSVP'ing, particularly if it means writing a letter. Give them a courtesy email or phone call to save them the hassle. This will help you plan seating arrangements and the amount of food that you will need to serve. 10. Be a gracious hostIf you are nervous, flustered and stressed, keep it under wraps. Guests will be able to sense such emotions and it will make them feel uncomfortable and as stressed as you. If you have prepared well in advance and kept things simple, your party will go with a bang and everyone, including you, will be very happy. Exercising, eating right, and relaxing are all key elements to staying fit, healthy, and happy. That's why building a game room and a home gym is a great idea. There is nothing quite like outfitting a home gym or game room in your place. Buying the right exercise equipment will inspire you to get in there every day to work out, and that just feels good. If it's close at hand, you'll have no excuse but to get in your home gym and do it. And after a tough workout and a shower you can relax in the game room. We offer plenty of information on home gym equipment and game room décor options. You're sure to discover the exact info you're looking for. We offer suggestions and advice on buying the ideal game room furniture and exercise equipment for you. Our experts thoroughly research each piece of exercise equipment and furniture. And we update our site frequently so you're sure to find the latest and greatest articles for planning a modern game room and setting up your home gym. Click around; and let us help guide you to find the exercise equipment and game room furniture you're looking for. Check out eGameTables.com for some great game tables that will compliment your game room. 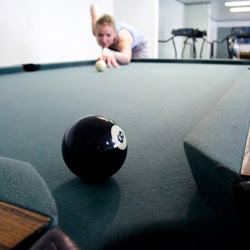 Bring family and friends together for an evening of fun and enjoyment with a home game room. A wide range of game room furniture, from seating to game tables to home bars, allows you to customize your game room exactly as you like it. Family game night provides a wonderful opportunity to unwind from a hard day at work as well as spend some quality time bonding with your family. Games are a stimulating alternative to television and movies and allow everyone to get involved in the fun. Here you'll learn all about games from our team of experts. Not only does high quality barware give your home bar a touch of elegance and class, but having all the essential shakers, glasses, corkscrews, and strainers close at hand is essential to ensuring that everyone at the party has a good time. Whether you're entertaining at a formal dinner party or just getting together with a few close friends, the right barware will help you feel like a real pro as you impress your guests. Equip your home bar with everything you need to serve like a true connoisseur with a variety of bar appliances. Whether you're providing refreshments for formal celebrations or slinging drinks at a family barbecue, bar appliances are essential to being fully prepared. Here you'll learn all about buying and maintaining bar appliances. In your home game room, the right accessories are essential for creating the right atmosphere to bring your friends and family together for an evening of fun. No game room should be without accessories such as lamps, coasters, clocks, mirrors, and other decorative pieces. Home exercise equipment is vital for finding time for a regular fitness routine in your already crowded schedule. Being able to exercise while watching TV or getting a quick workout before leaving for work in the morning is preferable to some over the hassle of going to the gym. Here you'll find buying advice and maintenance tips for all types of exercise equipment. For days when your busy schedule doesn't allow a trip to the gym, a few fitness accessories at home can help you to keep your workout routine intact. With a large variety of accessories such as yoga mats, hand weights, and jump ropes available, choosing the right tools for your workout can be confusing.